The Minister visited the £83 million Defence Fulfilment Centre after touring the armoury and current logistic facilities on-site at MOD Donnington. The 80,000 square-metre centre, due to be fully operational in 2019, is the size of ten football pitches and will streamline distribution and storage. With two warehouses and a support building, it will be a central hub for storage and distribution of defence’s £30 billion inventory, including spare parts, food, clothing, and medical supplies. 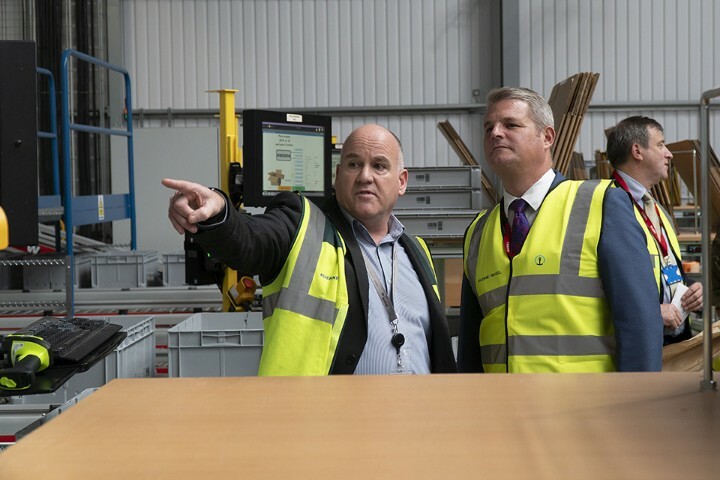 Defence Minister Stuart Andrew said: “We’ve invested over £80m in this enormous Shropshire centre as we are determined to ensure our personnel have everything they need, from batteries to boots, wherever they are in the world.